It has been documented widely that the endocannabinoid (eCB) signaling plays a fundamental role in many human health and disease processes of the central nervous system. This has opened an avenue for researchers to exploit the potential of eCB-oriented treatments for the management of neurodegenerative, psychiatric and neuroinflammatory disorders. 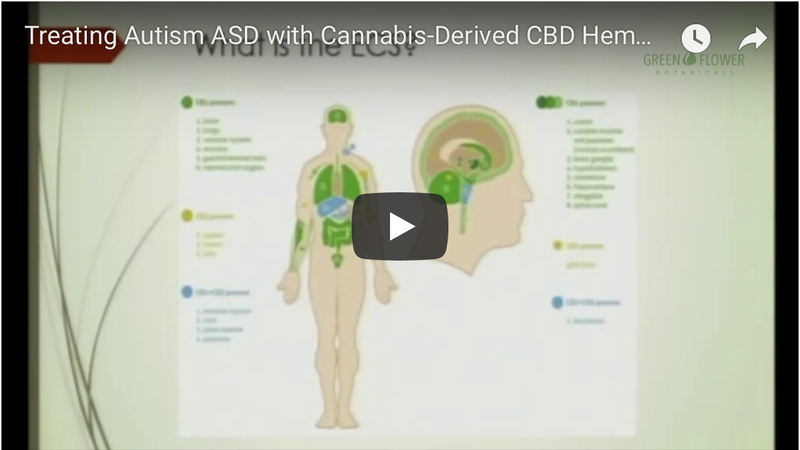 Here, we will give you a summary of studies showing how cannabidiol (CBD), a cannabinoid derived from the cannabis plant, interacts with the body to counteract autism through the eCB system. Autism spectrum disorder (ASD) is a complicated behavioral condition that manifests during early childhood and lasts a lifetime for the majority of cases since it has no known cure. In the last three decades, scientists have been busy studying the main components of the recently discovered endocannabinoid (eCB) system. This is a rather intricate collection of lipid signals called endocannabinoids, their target receptors, metabolic enzymes and purported transporters. The disease is characterized by conspicuous cognitive and emotional isolation and detachment. Autistic children display; an inability to form human relationships, abnormal or absent speech, repetitive and stereotypic verbal and non-verbal behaviors, as well as a limited range of interests and activities. Up until now, no behavioral, genetic, electrophysiological or brain imaging test can specifically validate a clinical diagnosis of autism. Furthermore, this disorder has no defined mechanisms of pathogenesis, which makes it very difficult to provide curative therapy. Nonetheless, the aforementioned procedures are often utilized to test for any syndromic forms of the illness. The data from this study suggest that alterations in eCB signaling after postnatal inflammation contribute to deficiencies in social behavior during adolescence. Moreover, they established that inhibition of the fatty acid amide hydrolase (FAAH) enzyme, which metabolizes the endocannabinoid anandamide, could be a novel target for disorders involving social deficits such autism or other social anxiety disorders. Cannabidiol, a natural phyto-cannabinoid has been shown to influence the eCB system towards the same effects, and this study sheds some light on its possible mechanisms of action. The parents of autistic children know the true burden that comes with this illness, and it’s heavy. A child’s inability to communicate their feelings, impulsiveness as well as destructive and self-destructive behavior can take a toll on any parent or caregiver, leading to both physical and emotional exhaustion. As a result, if a more effective therapeutic alternative can be found, it would come as great news to millions of patients suffering from this condition. 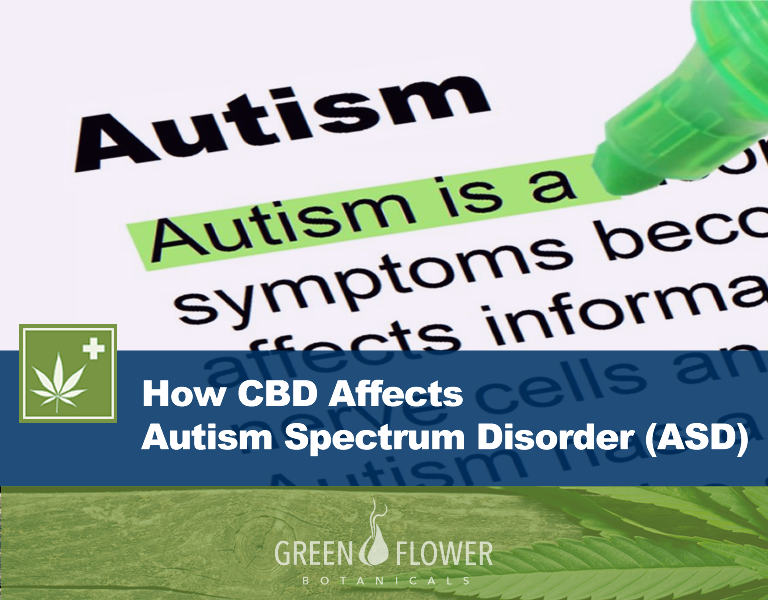 As shown from the evidence above, cannabidiol for autism treatment is a viable potential agent that should be investigated more thoroughly to establish its efficacy. Below is a full list of all the available studies concerning the use of CBD for autism treatment. How do I find the right dosage of CBD for Autistic-Related symptoms? What is the endocannabinoid system and why it matters to your health?